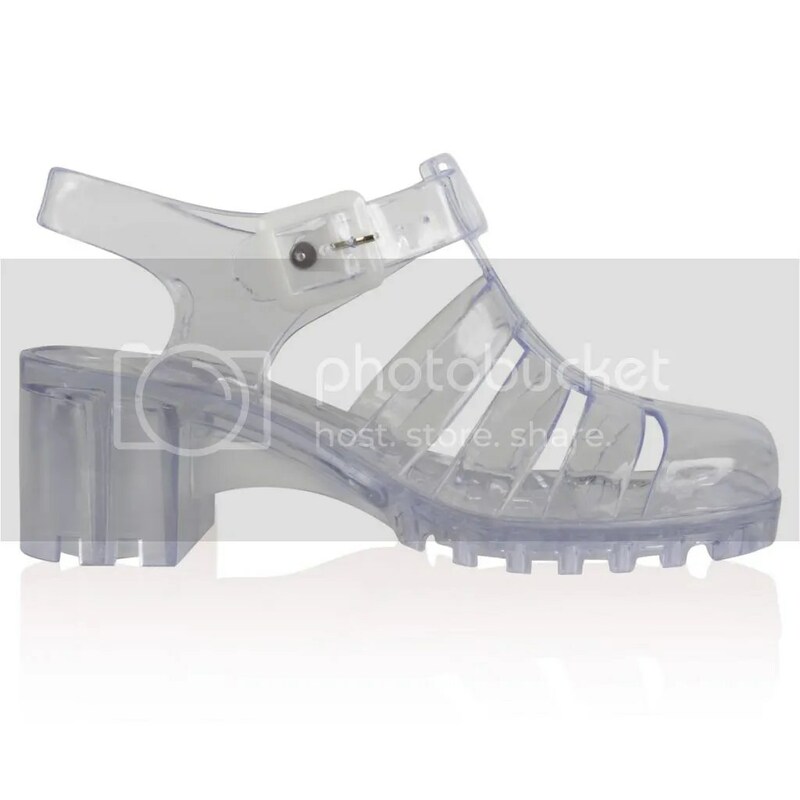 Full disclosure: I despised jelly sandals as a kid. Due to hours of incessant begging, my Mom returned home one evening with a pair of pink glitter jellies. I sat on the back stoop and put them on, stretching out my legs and wiggling my feet around to get the full girly glitter explosion effect. They were spectacular. Oh God, the sweat. Even at five years old, I would have needed a botox shot in my heel to prevent the slipping, sliding and general stickiness. Blech. I can still remember the awful feeling. How is it possible for OPEN shoes to make your feet sweat SO badly? Gives me the willies. I didn’t learn my lesson with 90s shoes. Oh no, I faithfully represented all of the trends, from baby blue platform Skechers to hologram Doc Martens. 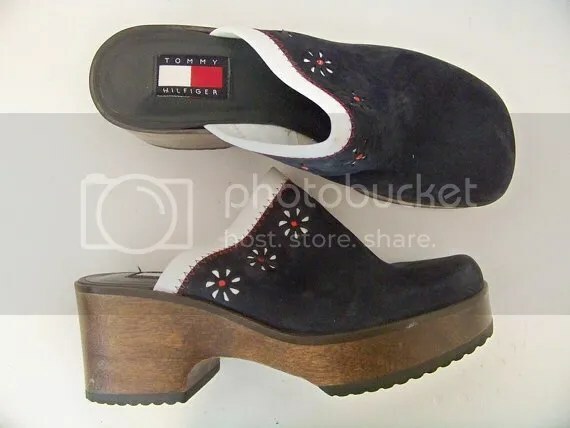 If you were a 90s girl, you owned one of these pairs, for sure. These paired perfectly with those no-waistband jeans from Abercrombie. Don’t forget the sweat as you’re doing the ol’ reminisce. I wasn’t allowed to wear these because my Aunt thought they were too ‘extreme’. Nothing screams ‘8th Grade Dinner Dance’ like these shoes paired with sparkly pantyhose that your Mom insisted that you wear. 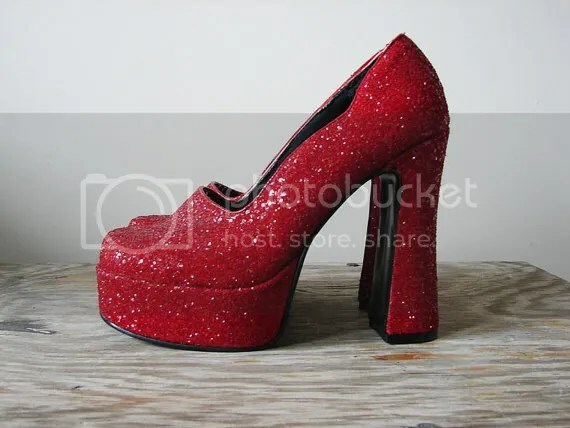 These were what the ‘bad’ girls wore to school dances. The girls who let boys go to third base after detention. I was not allowed to wear velvet, either. “Too many young girls are trying to look too old and their parents let them,” my Mom would say. Looking back, I agree with her. But don’t tell her that. You could replace the red with any color. Glitter was huge. I used to have at least two parts of my body done up in glitter during the 90s. Stackable J.A.N.E. and Bonne Bell glitter eye gel towers – remember those? Sometimes, I’d go crazy and add a star on the outside corner of my eye. Then, the shoes. We all looked like Liberace, and we thought we were fly. These were in rotation on an almost daily basis, along with my Doc Sandals. 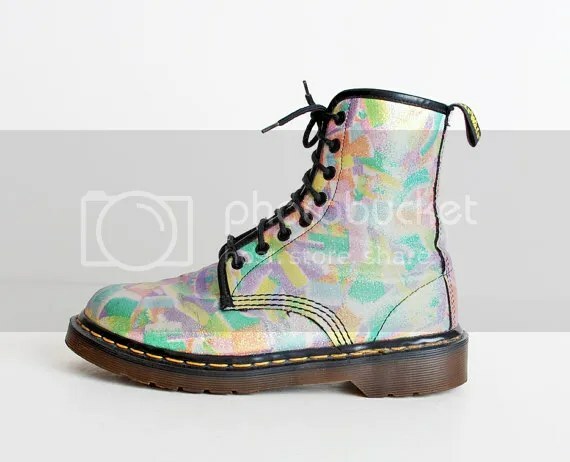 They gave a little height and were casual enough for school, but could also be worn to your internship at the town library. The perfect 90s shoe specimen. 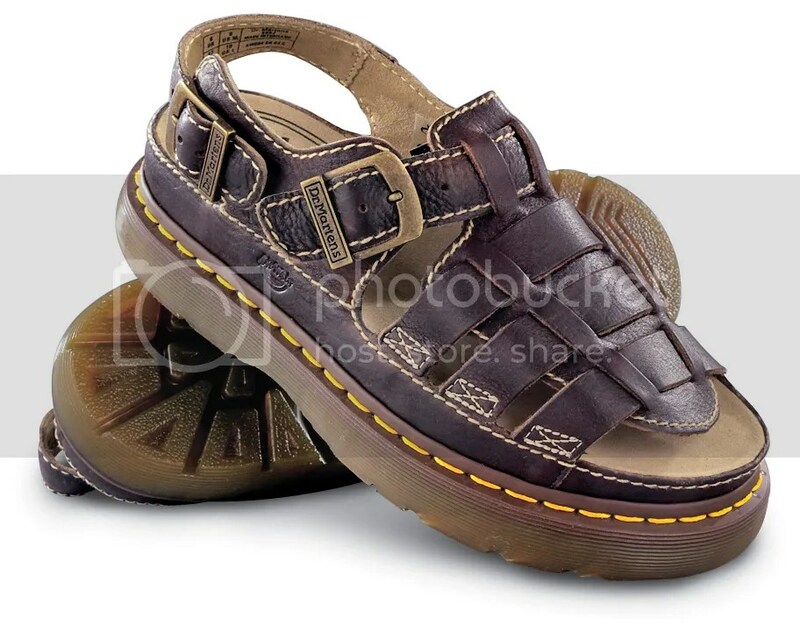 If you wore these, you probably went to raves and wore a pacifier-shaped candy necklace. Nothing says 90s like JNCO jeans, hologram platform Skechers and an Ecstasy addiction. These are in my Mom’s basement somewhere and I will find them. They were SO comfortable, and paired well with ripped jeans, skirts and even softball socks. I think our entire team had them, in fact. 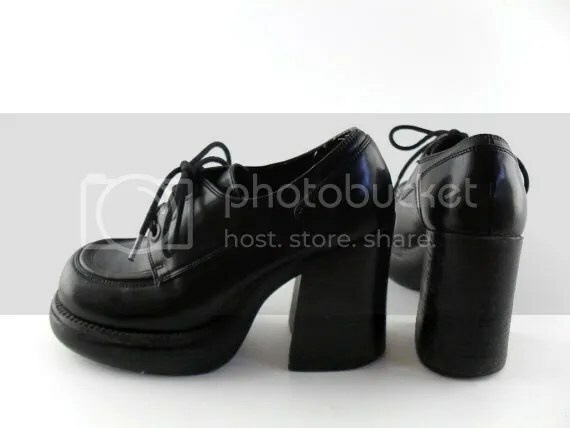 At some point, designers decided that chunky heels were out, and long, thin, graceful heels were in, and our beloved 90s shoes went the way of the dinosaur. However, 90s clothing and accessory trends have seen a resurgence over the last year that gives hope to all of us who miss getting a workout from lifting our feet. What were your favorite 90s shoes?